Claudia Rivera March 1, 2016 March 1, 2016 No Comments on FREE VIP Tickets to the Nightly Show & Internship Opportunities for Fordham Students! 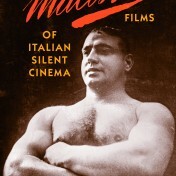 Come TODAY and Meet NBC’s Bob Dotson at his book signing and talk @ Martino Hall, 7th Floor! Claudia Rivera February 23, 2016 February 23, 2016 No Comments on Come TODAY and Meet NBC’s Bob Dotson at his book signing and talk @ Martino Hall, 7th Floor! 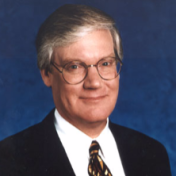 Come and hear Bob Dotson talk about his 40-year career in TV news and what you need to get ahead in journalism today! Communication & Media Studies Dept. 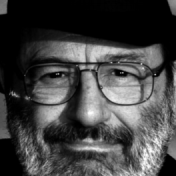 Martino Hall, 45 Columbus Avenue, 7th Floor Tuesday, February 23, 2016, from 11:30am – 1:00pm. Pizza lunch will be served. “Deafening Modernism: The Politics and Poetics of Communicative Norms”- A Seminar Open to Faculty and Students! Claudia Rivera February 17, 2016 February 17, 2016 No Comments on “Deafening Modernism: The Politics and Poetics of Communicative Norms”- A Seminar Open to Faculty and Students! 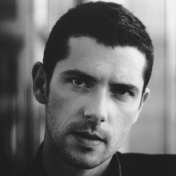 Masterclass with French Actor Melvil Poupaud! Chance to win a student membership to Film Society at Lincoln Center! All are welcome! Claudia Rivera February 11, 2016 February 25, 2016 No Comments on Masterclass with French Actor Melvil Poupaud! Chance to win a student membership to Film Society at Lincoln Center! All are welcome! New Spring Course! 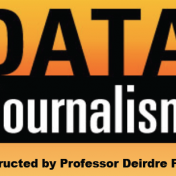 Journalism and New Media Students, register for Data Journalism today! Claudia Rivera December 14, 2015 December 14, 2015 No Comments on New Spring Course! Journalism and New Media Students, register for Data Journalism today! Data Journalism Flyer Obtaining, interpreting, visualizing and displaying data are essential skills for journalists of the 21st Century. This hands-on introductory course in data visualization will help students learn to use data to tell visual stories. Register today! 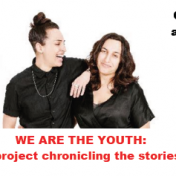 We Are The Youth: Photo-journalist Project Chronicling the Stories of LGBTQ Youth, Discussion Event December 1. Claudia Rivera November 18, 2015 November 18, 2015 No Comments on We Are The Youth: Photo-journalist Project Chronicling the Stories of LGBTQ Youth, Discussion Event December 1. Internship at Pen World Voices Festival of International Literature! Claudia Rivera November 17, 2015 November 17, 2015 No Comments on Internship at Pen World Voices Festival of International Literature! 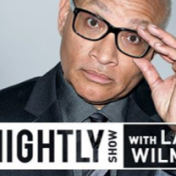 Free VIP Tickets to The Nightly Show with Larry Wilmore! Open to all Fordham Students & Staff with shows into March 2016! 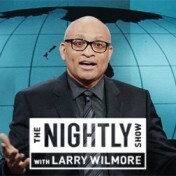 Claudia Rivera October 29, 2015 October 29, 2015 No Comments on Free VIP Tickets to The Nightly Show with Larry Wilmore! Open to all Fordham Students & Staff with shows into March 2016!